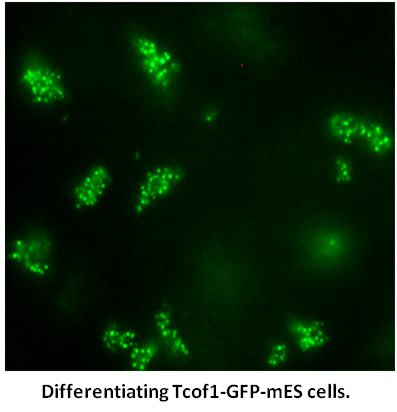 Home » » Mouse ES cell line with a GFP tag inserted into the Tcof1 gene. 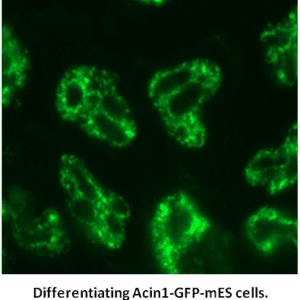 Mouse ES cell line with a GFP tag inserted into the Tcof1 gene. 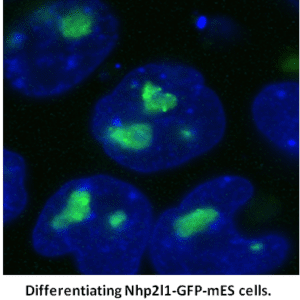 Posted by admin on Nov 15, 2016 in | Comments Off on Mouse ES cell line with a GFP tag inserted into the Tcof1 gene. 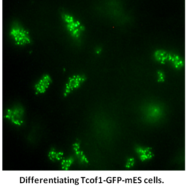 Mouse ES cell line with a GFP tag inserted into the Tcof1 gene. Expresses a full-length GFP fusion with the Treacle Ribosome Biogenesis Factor 1. 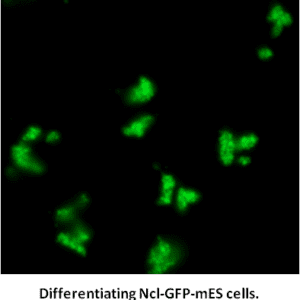 SKU: Tcof1-GFP-mES Category: CD - tagged mouse ES cell lines expressing a single GFP-fusion protein under native regulation. 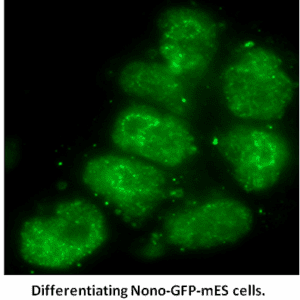 Mouse ES cell line with a GFP tag inserted into the Nono gene.